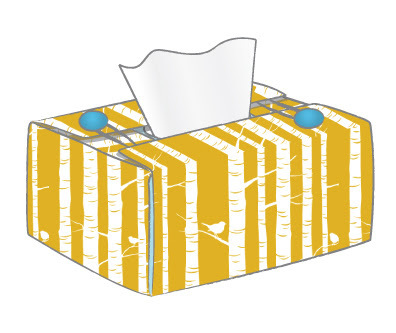 Well, the suggestion of a tissue box cover tutorial definitely generated enough interest, so here it is! I hope it all makes sense and turns out correctly - if you have any troubles or feel the tute needs amending, please let me know! a) From a single piece of outside fabric, plus a single piece of lining. b) From a number of pieces of outside fabric, sewn together in such a way that the pattern is always upright on all four sides of the box. Plus a single piece of lining. Either method is fine - it depends on the fabric you're using and whether or not it has an obvious "right way up". 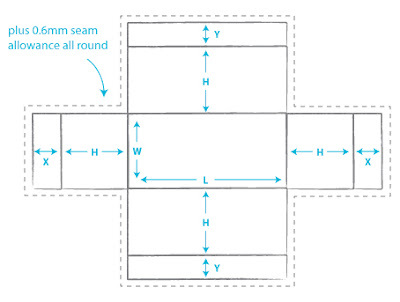 Don't forget to add 6mm all around for seam allowance! 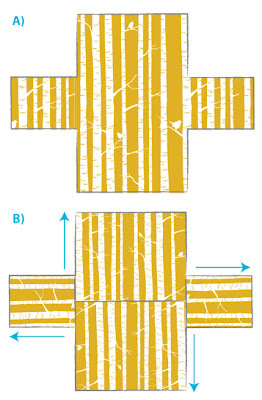 2) Cut out this shape from your cover fabric using either method a) or method b). Cut out the lining fabric to match. 4) Sew around the outside of the entire shape, 6mm in from the edge, leaving a gap at the end of one of the side flaps as shown above. You may like to run the machine back and forth over the elastic loops to make them extra secure. 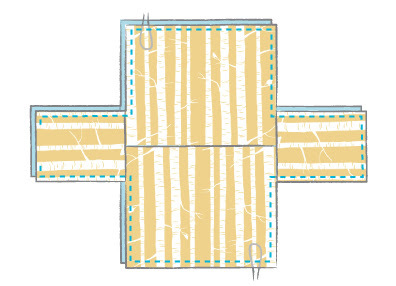 5) Turn the piece inside out and iron flat, then hand stitch the hole closed. (Note: You may wish to test the cover on your box first, to make sure it fits nicely. If any of the flaps are too long you can always turn it back inside out and shorten them). 6) Now just position two buttons as shown below (the elastic loops should be nice and tight), and you're done! Thank you to Heather for making the original tissue box cover from which this tute was developed! thank yoooou. one quick question: what kind of elastic did you use? cheers Lara. Love it. A must do for this house. My old one is looking tired and I totally fudged that one. Yours is gorgeous. Thanks for putting all the time into writing a tut. Hi, just found your blog and im loving it ! thanks for the tutorial. Waw, what a great (and clear) tutorial. I know what I'm going to do when I get home from work. Thanks a lot. Love it! It'll go on the "to do" list...I've been wanting to make something like this for awhile now! i will try to make one when i am free, thanks for sharing. Thanks for the tutorial! I used to sew my very first project on my new sewing machine! A pic of the finished result is on my blog! thank you very much for this. i am excited to try it out! Great blog you got here. It would be great to read something more about this theme. Holy awesome-ness! I can't wait to make some. Thanks so much for this tutorial. 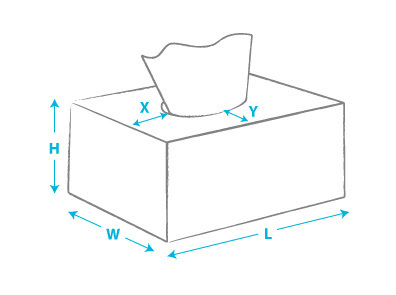 The fact that you explain how to adapt the tissue box cover is great. You can show some pictures of the box cover I sewed on my blog : sewingpot.blogspot.fr. See you ! 4 new fabrics - finally!